Masts, centerboards, and rudders don’t all have to line up right down a boat’s middle. 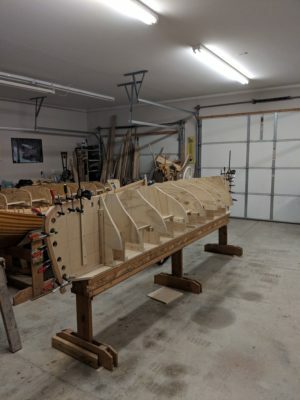 Putting them to one side or the other can get them out of the way without noticeably affecting sailing performance, and reclaiming the best real estate in the cockpit can make a boat a much more pleasant place for the people aboard. 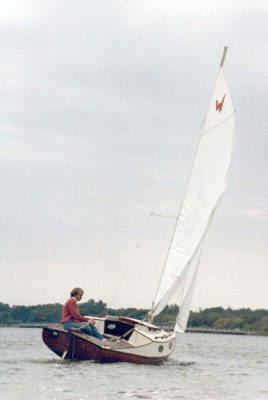 When one of Ross Lillistone’s regular customers asked for a fast camp cruiser for sail, oars, and motor, Ross drew up a 17’ lug-rigged cat ketch for glued-lap plywood. The Periwinkle hit the mark and is a great all-rounder. Glen L. Witt, the founder of Glen-L, could have had any of the countless boats he designed for his company’s offerings of plans and kits, but it was the Ski King he chose to build for his own use. Among the first boats he designed, it is once again in the Glen-L catalog, 65 years later. 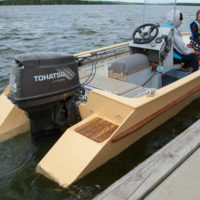 Most small outboard skiffs carry a lot of weight in the stern—skipper, outboard, and fuel tank—and suffer the consequences. 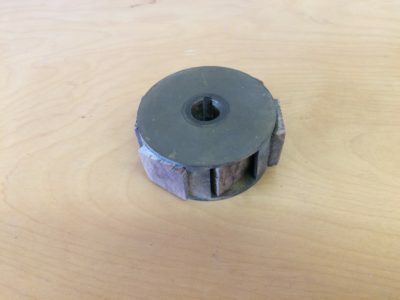 Homemade transom extensions add both buoyancy and planing surface that can improve trim and performance over a wide range of speeds. 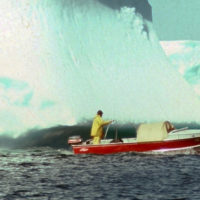 In 1979, Dave Getchell bought an aluminum skiff that he could use as a base for a climbing expedition to the Torngat Mountains at the northern tip of Labrador. He never reached the mountains, but the boat, christened TORNGAT, found its destiny along the Maine coast in the creation of the Maine Island Trail. Born to a family of Alabama river folk, James Fullton grew up around boats. 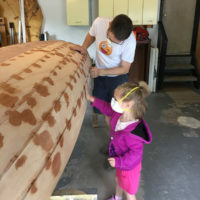 His interest in them waned when his parents moved him and his sisters inland, but when he started a family of his own in New Haven, Connecticut, he felt the impulse to build a boat of his own. The Knipex plier wrench is a versatile and well-designed tool with extraordinary gripping power. It’s a worthy addition to an on-board tool kit. Hammocks provide minimum-impact shelter ashore and can be set up on wooded terrain that's too steep or uneven to accommodate a tent. We take a look at a system that includes a hammock, bug net, winter cover, and rain fly.